D – Decide that you need to do more than you are doing to get you more results than you are receiving today. Being satisfied with your results today won’t advance your future. At the same time, getting fewer results than you desire is going to put you further behind. Decide to do more today. 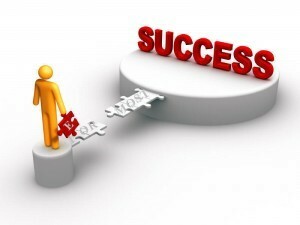 I – Implement the strategies required to make you attain the success you need to grow. It could be building more relationships, making more calls, attending more events, or whatever it takes to get you in front of more people. Relationships are the key to success. Build relationships deeper, make new ones and make them count for you and them! S – Strateg ize the what, how and benefits of what your actions will do for you and others. It will be necessary to adapt to the changing environment and make yourself relevant. Technology is rapidly changing all aspects of our lives and you need to make sure your strategy is in alignment with these changes. C – Create the vision to make it happen. Write down what is necessary for your success, visualize your success in these undertakings and the results it will bring you and others – and they will happen. O – Ownership of the ideas, thoughts and necessary tasks to get you to where you want to go will enable you to achieve your success. If you don’t buy into the end result, you won’t leave your comfort zone and make it happen. M – Mastery of stretching yourself beyond your comfort zone through repetition, role playing and rehearsal will make you more comfortable in doing what is necessary to take yourself to the next level. Become a master of what steps you need to take to make it take place for you. F – Find people who will help push you out of your comfort zone and want to see you become successful. Having others hold you accountable, help you grow and have your best interest at heart is vital to your growth. O – Opportunities will become available to you as you make yourself expand and grow outside your comfort zone. You will be able to direct your future and take advantage of these opportunities. Luck is preparation meeting opportunity – be ready by experiencing discomfort. R – Reward yourself for your new found comfort zone. If you don’t take the time to pat yourself on the back with small, medium or large rewards for your efforts, you won’t continue to put forth the effort. Rewarding yourself is a critical piece to keeping you motivated to do more. T – Track and measure your results so you know how far away or how close you are to your goals and what you need to do to expand yourself to make these dreams a reality. What can be measured can be improved. 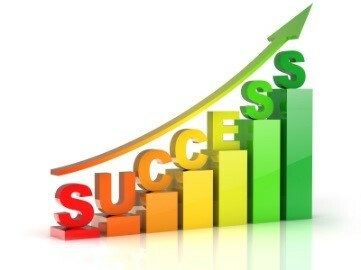 Tracking what needs to be done for your success is imperative to receive results. Discomfort allows you to grow and become better in the end and it is necessary for your success in all areas of your life. As the saying goes, if you aren’t growing, you are dying. Step up your efforts, step up your activities, grow outside your comfort zone – with baby steps or by leaps and bounds – and get where you want to go faster and perhaps even further than you expected. Get it? Got it? Good! The Entrepreneur Business to Business forum at NVAR yesterday featured an accidental entrepreneur, Kristina Bouweiri. She calls herself this because she never thought or had the desire to become a business owner. 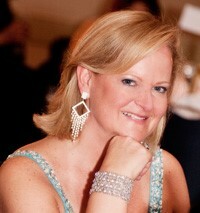 She was a 100% commission based sales person selling advertising when she was offered a position at Reston Limousine. It was there she learned what it was like to operate a business. She did booking, invoicing, hiring, you name it – she did it all plus was a mother of four. There were several events that helped shape her business to where it is today. One is when she was approached to provide a shuttle service for the National Geological Survey which got her company into the government and getting government contracts and the other was 9/11. When 9/11 occurred her business ground to a halt and she had to get out behind the desk and out on to the street to make things happen. She got involved in Chambers, Charities and multiple Boards which all helped her gain clients and not only survive but thrive. Her philosophy of how to run a successful business mirrors running a real estate business whether you are a broker or an agent. Get out and get involved – network with other professionals in the business but also outside the business to help create opportunities for each other. Continually grow your database and maintain regular contact with them through email, phone calls and visits. Get into a mastermind group of others in the business from around the country to share ideas on all aspects of the business and to help you develop best practices. Join a peer advisory group like Vistage to help you grow your business as well as hold you accountable. Attend conventions, seminars and be a continuous learner. Be knowledgeable about your business. Develop strategic relationships to grow your business. Learn to delegate. Take an hourly calendar and track what you are doing each hour for two weeks. See what your hourly rate of pay is and any tasks you are doing that don’t pay your hourly rate, hire someone to do it. Hire to your weakness and develop your strengths. Always look to hire the top talent and weed out the under performers. Be relational not transactional – make great and long lasting relationships and help others to succeed. Hold client appreciation events and solicit sponsors to help fund the events. Figure out what you are good at delivering and make that your niche. Embrace social media – have a blog, website, LinkedIn, Facebook and email blast strategies to gain awareness, provide valuable content and to be seen. As you can see, she was a wealth of knowledge to the numerous agents in attendance and it was great information that parallels our industry. To learn more, feel free to reach out to me.